Call us today for rodent control! Are you in need of quality pest control or rodent control services in the Williston, FL area? With help from the team at A G E Pest Control, you can get back to living your life pest and rodent free. A home free of creepy-crawlers and scampering rodents is every homeowner’s dream. 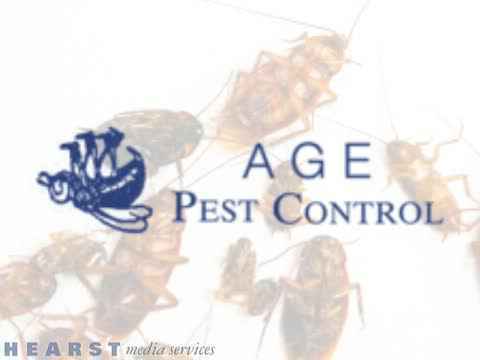 Since 2000, AGE Pest Control has been making that dream come true for the inhabitants of Williston, FL. Our pest control services are second to none! We specialize in rodent control, termite control, and general pest control srevices. If you want to get rid of those unwanted freeloaders living in your home, give us a call! Pests are a huge problem, especially in the state of Florida where the temperate climate proves the perfect place for pests to thrive. Florida’s top pest control problems are ticks, fleas, ants, bed bugs, wasps, bees, roaches, rodents, and termites. All of these pests pose significant problems to homeowners throughout our state. Call A G E Pest control today for all of your pest and termite control needs in Williston, Ocala, Gainesville and surrounding areas. At A G E, we understand that everybody's situation is different. Therefore, it is important to develop a pest control or rodent control plan that is catered around your needs. Our trained staff will help you identify risks for pests and rodents and will give you a plan on how to protect your self from unwanted creatures. Call our staff today for more information about our pest control and rodent control services. Call us today for all of your termite control needs! Termites are often called a "silent destroyer" because they can be secretly hiding in your home or yard without any signs of damage. Termites feed off of dead plants and trees including wood. They have the ability to tear through wood materials which causes concerns for residences. To make you home less attractive to termites, you can eliminate moisture problems including repair leaks cleaning gutter and sealing entry points around pipes. Also, remove termite food sources including firewood/lumber, removing old tree stumps, and placing screens on outside vents. A termite infestation is a major threat to your home's structural integrity. Termites eat through the wood in your home. Termite problems should be addressed immediately to reduce the damage caused by the infestation. Signs that may be an indicator that you have a termite infestation include cracked or bubbling paint, mud tubes on exterior walls, wings from swarmers, and more. When you think you have termites, call A G E Pest Control. We will come in and examine the situation and provide a plan of action to protect your home and surroundings in Williston, FL from termites. Prevention is important to keep pests out of your home. Make sure there are no access points in your homes foundation. If there are cracks or homes in the foundation of your home, seal them using an appropriate sealant. Moisture can attract a wide variety of pests inlcuding silverfish, termites, crickets and spiders. It's important to remove moisture in your basement and bathroom with a dehumidifier. They can be brought into your home through numerous methods, including on clothing, furniture, backpacks, etc. As you can see, an infestation of pests often brings with them many detrimental effects. Ranging from health issues to property damage to just plain gross, pests are responsible for many problems both in and out of the home. We guarantee termite control with the help of Termidor and we only use safe chemicals to ensure that your family and pets are safe from harm. If you want to rid yourself of these unwanted guests in your home, give us a call at (352)528-5169, (352)732-5316, or (352)335-3588 for the best termite control, rodent control and general pest control services throughout all of Florida. A G E Pest Control in Williston, FL offers quality pest control services as well as rodent control services. Since the Florida weather is perfect for bugs and other pests to thrive, it is important for there to be good, quality pest control services like ours. We help you get rid of wasps, bees, roaches, and other bugs from your commercial or residential establishment. We also help you control the rat population with quality rodent control services. We have the knowledge and experience needed to perform any task, especially termite control projects. Call us today for more information and learn how you can ward off unwanted guests.